AKIPRESS.COM - A Saudi official hinted on Friday the kingdom was moving forward with a plan to dig a canal that would turn the neighbouring Qatari peninsula into an island, amid a diplomatic feud between the Gulf nations, the Guardians reports. The plan, which would physically separate the Qatari peninsula from the Saudi mainland, is the latest stress point in a fractious 14-month long dispute between the two states. In April the pro-government Sabq news website reported government plans to build a channel 60km long and 200m wide stretching across Saudi Arabia’s border with Qatar. Part of the canal, which would cost up to 2.8 billion riyals ($750m), would be reserved for a nuclear waste facility, it said. Five unnamed companies that specialised in digging canals had been invited to bid for the project and the winner would be announced in September, Makkah newspaper reported in June. 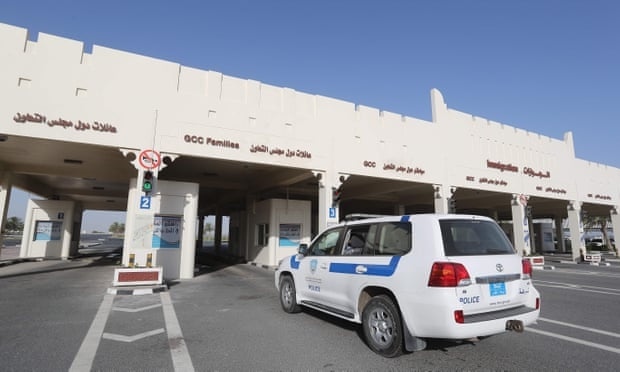 After the dispute erupted last year, Qatar – a small peninsula nation – found its only land border closed, its state-owned airline barred from using its neighbours’ airspace and Qatari residents expelled from the boycotting countries. Mediation efforts led by Kuwait and the US, which has its largest Middle East air base in Qatar, have failed to resolve the dispute.